I was fortunate to have the opportunity to shoot the Silver Wings again. This time, Margi Stivers was joined on the wing by Jenny Forsythe. 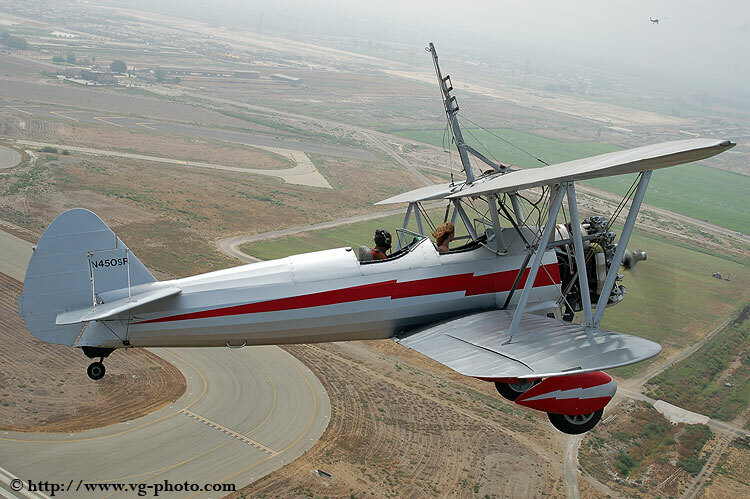 Hartley Folstad flew the Stearman for the shoot while Jimmie New flew his L-19 Bird Dog for the photo platform. Everyone was in great form. Many thanks to all four of you for a great opportunity and for all the hospitality. The second flight of the day was Jenny Forsythe solo. The first 2 shots are from the first flight. Hartley and Jenny watching pattern traffic at takeoff from 26R.